We are excited to welcome Indigo Album Design to our Vendor Guide! Indigo Album Design offers affordable handmade Flush Albums and Coffee Table Books, all featuring personalized design layouts. 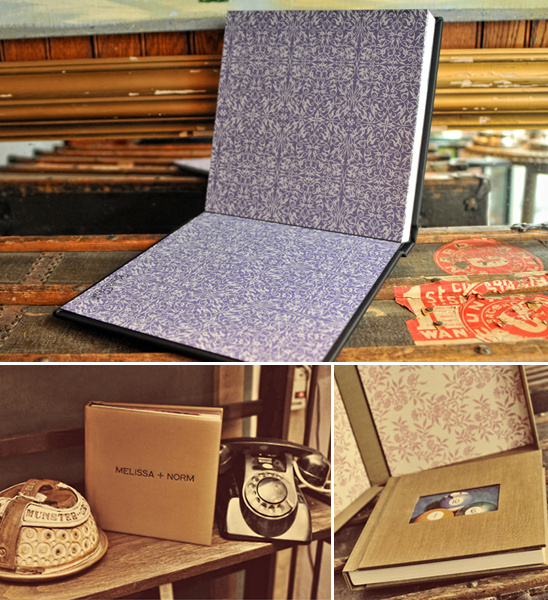 All Indigo albums come in either cloth or leather and feature decorative end paper lining. Very stylish and super cute. Currently Indigo Album Design is offering a 12% discount on their newest product "The Album Bundle!" Which includes a main wedding album with a custom clamshell album box and two parent albums. The Album Bundle is the perfect way to spread the album love! 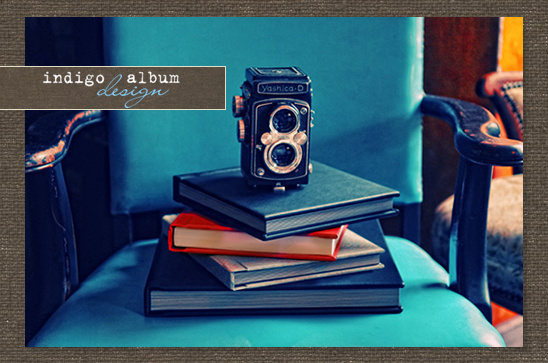 These albums feature all panoramic full spreads with a custom design of your photographs. Promotion ends April 15, 2011. To top it off, choose between the black or red vinyl cover treatments and you've got the perfect wedding keepsake for the whole family! As a special offer to WC readers Indigo Album Design is offering 10% off all non promotional items. Use coupon code wcapril10.